Swirling honeybees surround our 8 oz. 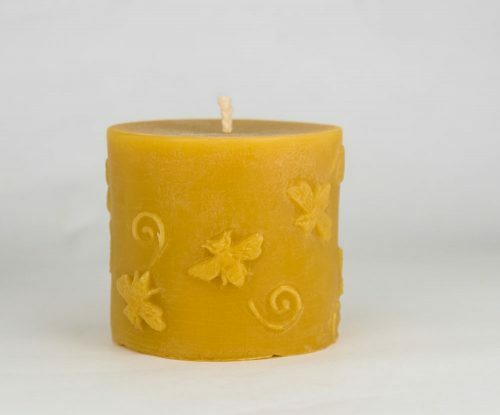 NJ Beeswax Honey Bee Pillar Candle, adding a touch of adorable sweetness to this candle. 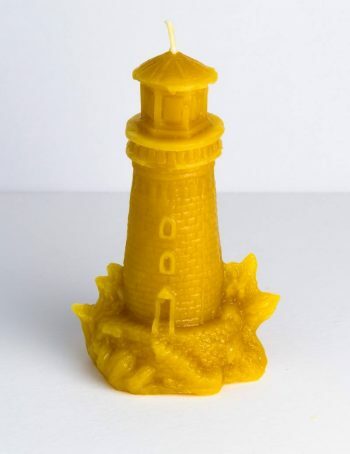 And since the honey bee symbolizes beauty, community, family, love, productivity, wisdom and so many other wonderful meanings this lovely, all-natural candle brings some added messages, wishes and symbolism when you choose this candle for your own use or to give as a gift to the bee-lover in your life. 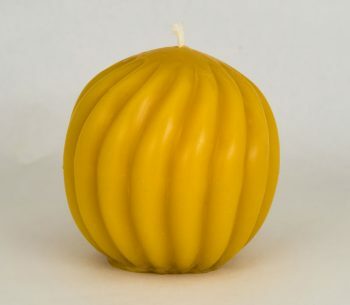 The adorable design pairs with the benefits of our all-natural, 100% beeswax without any added scent or coloring, to burn for a long time, dripless and smokeless, as an ideal, worry-free, smile-inducing candle treat. 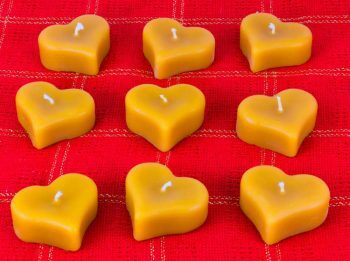 We do remind you, though, never to leave any candle burning unattended, for your safety!